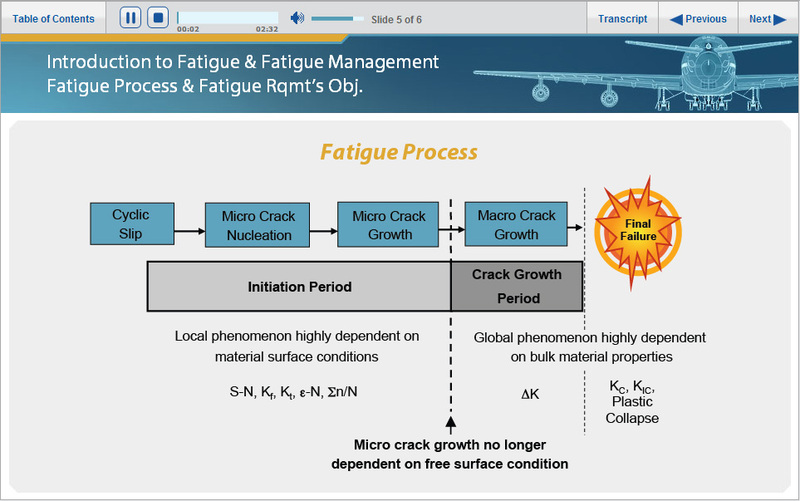 FAA - Introduction to Fatigue & Fatigue Management - MetaMedia Training International, Inc. 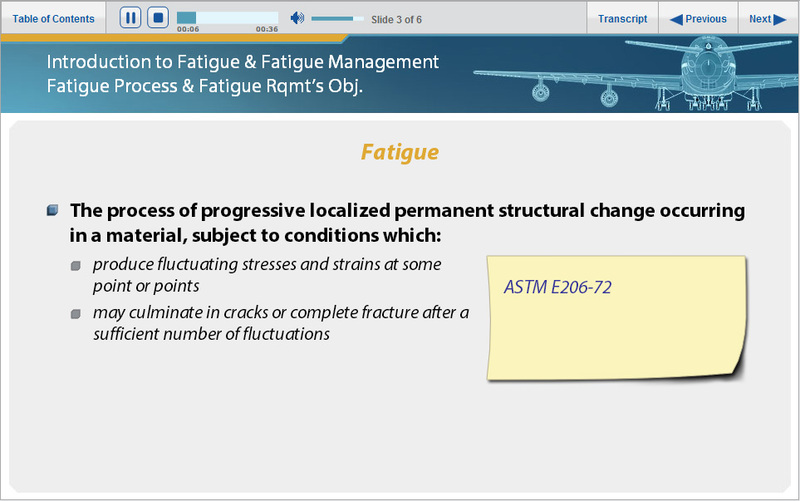 Description: MetaMedia produced an introductory course for the Federal Aviation Administration designed to introduce new Designated Engineering Representatives to the FAA’s understanding of fatigue in aircraft frames, including normal fatigue (wear and tear), and anomalous fatigue (defect or damage). 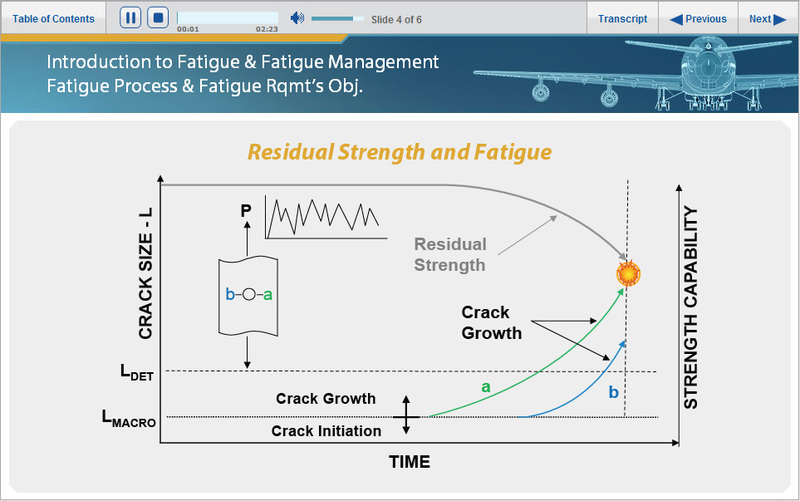 Three fatigue mitigation strategies, their histories, and the pros and cons of each are addressed. 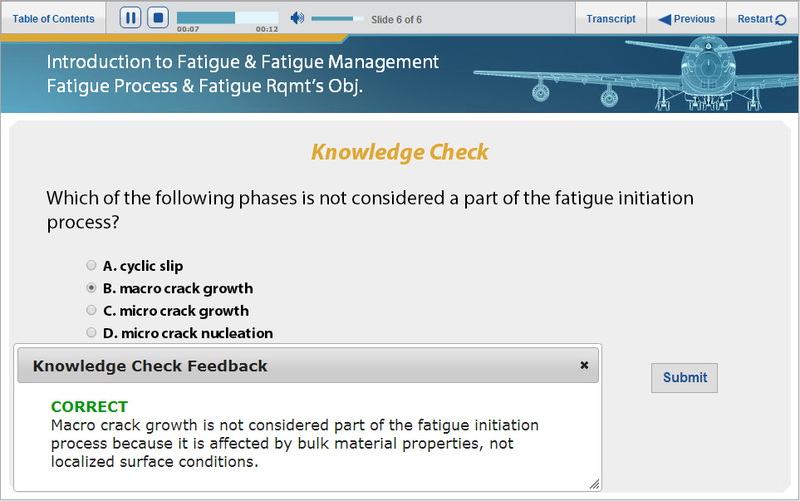 The SCORM-compliant eLearning course on an FAA-managed Learning Management System.